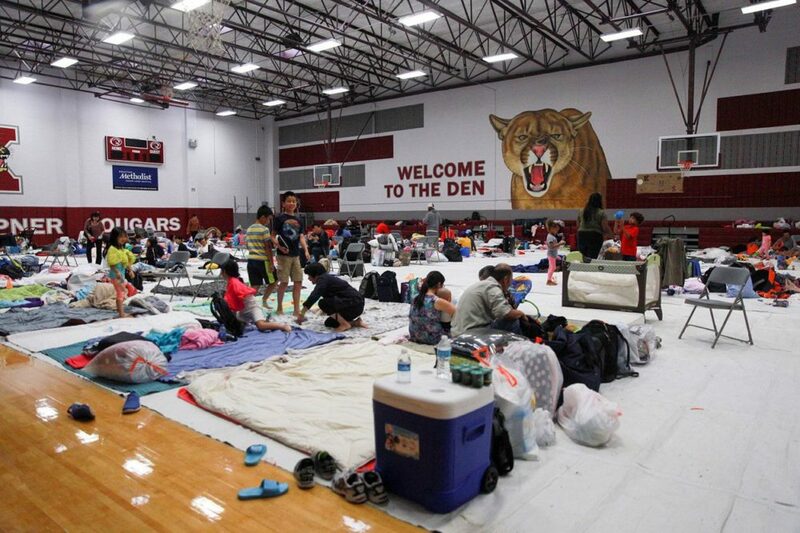 The gym at Kempner High School in Sugarland, in Fort Bend Co. southwest of Houston, was converted to a shelter during Hurricane Harvey. When the clouds darken and rain starts pouring down, many Houston-area elementary school students get nervous and start to sob — a sign of the long-lasting effects of watching the water levels rise during and after Hurricane Harvey. For Donna Wotkyns, a licensed social worker in Houston, that reaction shows exactly why ramping up resources for long-term mental health services for Texas students is necessary. “I’m a big believer in … support groups, getting together multiple children or youth who have experienced the same kinds of things that they experienced,” she said. 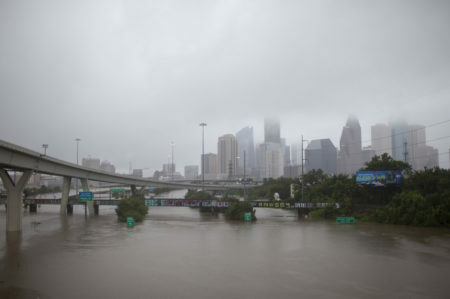 To address such challenges, the Texas Education Agency on Wednesday announced a task force — in conjunction with the Texas Higher Education Coordinating Board and the Texas Health and Human Services Commission — that will connect Harvey-affected schools, universities and their communities with counselors, training, and funding opportunities as they continue to deal with the after-effects of the destructive storm. Gov. Greg Abbott gave the Hurricane Harvey Task Force on School Mental Health several charges, including developing a comprehensive list of statewide and regional mental health resources, using regional Education Service Centers in affected areas to coordinate support and linking schools in need of help with responders who can help them. Experts from the nonprofit Meadows Mental Health Policy Institute will serve as consultants for the task force. “The invisible wounds left behind after this storm are often the most difficult to recover from. It is crucial that the State of Texas provides our educators and students with all available resources to address mental health needs as quickly as possible,” Abbott said in a statement Wednesday. 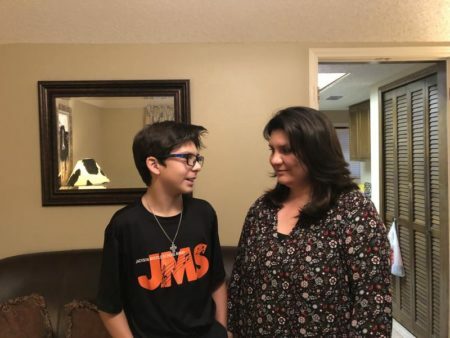 For years, school districts have worked with local community organizations to provide mental health services and counseling for students who have suffered trauma, said Josette Saxton, director of mental health policy for children’s policy nonprofit Texans Care for Children. 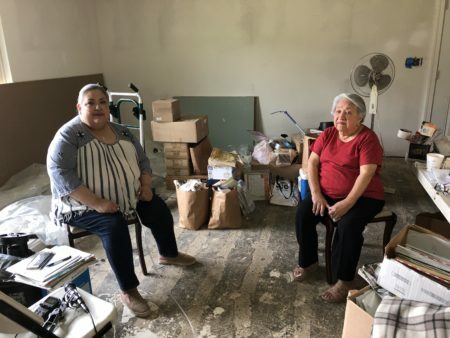 With thousands of families displaced from flooded homes and pushed deeper into poverty, more students will need help processing their trauma for many months to come. The education agency’s new mental health recovery page includes a rundown of state-level resources across the three agencies, including 39 local mental health centers that contract with the Health and Human Services Commission. Still in its early stages, the task force has not yet taken stock of all the available local programs. Callahan said it’s premature to say exactly how much funding districts will need or what the state will be able to provide for mental health services. Mental health experts and counselors said the effects of the trauma would probably last for years. 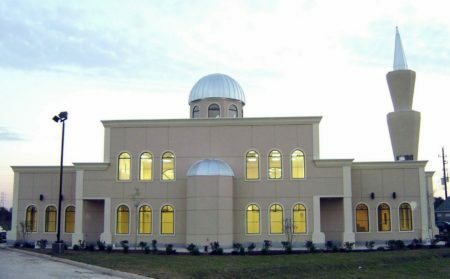 Wotkyns recalls leading support groups at a Houston high school where a large number of New Orleans students were placed after Hurricane Katrina hit Louisiana in 2005. The group started with five kids, then eventually swelled to 40 kids in two groups that met twice a week for three years, said Wotkyns, development director for the nonprofit Communities in Schools of Houston, which partners with Houston-area schools to prevent students from dropping out. Many students in these regions were already living with other trauma, such as abuse in the home or other types of violence, Saxton said. “Kids who have multiple negative experiences, those are the kids who it impacts the most. Kids who had trauma before the Katrina storm, they were the ones who had the most difficulties, and continued to have difficulties down the road,” she said. Once these students are back in school, after the immediate response to the disaster, they are more likely to act out and get in trouble in the classroom, unable to focus on their learning, she said. Schools need to train administrators and teachers to look past the immediate behaviors and address the underlying trauma, instead of suspending or expelling students. More schools are making it easier for students to regularly access counselors and social workers, running support groups or providing one-on-one counseling in partnership with community groups, Saxton said. In contrast, she said, “the Legislature has been kind of late in the game” in supporting student mental health. The Legislature did not pass a bill this spring that would have required educators to get training on how to teach students with mental health conditions and how trauma affects student behavior. But individual school districts, including Houston ISD, have pursued this type of teacher training on their own.